This is a traditional cozy murder mystery set in Italy. 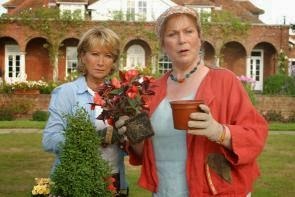 You will be reminded of Agatha Christie's murder mysteries set among tourists in foreign lands, and of the more recent British television series Rosemary & Thyme about two mature women dealing with dead bodies as they landscape their way through the English countryside. We quickly meet our protagonist, the first-person narrator, Dotsy, a mature American woman, in the airport arrivals area in Milan. 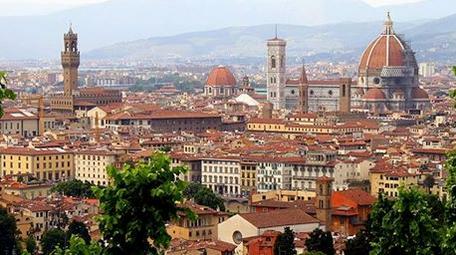 The group moves to Verona then Venice and on to Florence, where the group must remain while the police attempt to solve the mystery of the murder of the obnoxious tourist, with the help of Dotsy and her sidekick, Lettie, of course. As per cozy mystery custom, we immediately start to meet our assortment of potential suspects and victims. We get hints and clues dropped at every turn, so the reader must pay attention. Dotsy gives us early hints that her life has not been all croqueting and tea parties. ...I began to get that giddy feeling that comes over me when I plunge into totally foreign territory -- like when I water-skied for the first time and the night I bought moonshine from a bootlegger. Dotsy teaches ancient and medieval history at a community college. Her husband deserted her for a younger version after they had reared five children together. Dotsy is a confident, determined woman, who is loyal to her friends and who is not afraid of confronting bullies and evil head on. She is also having to deal with diabetes and aging. The years pass so quickly now that I can't keep my mental image of myself up to date. 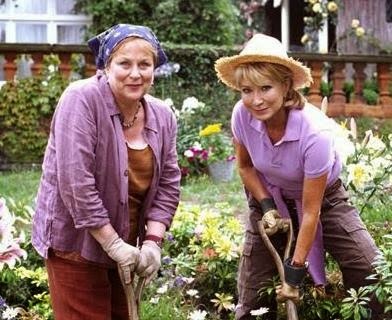 But why does Dotsy get involved in the murder investigation? Well, like all amateur detectives, Dotsy is a snoop. She easily finds other reasons to push her way into the investigation alongside the handsome Italian policeman. ...my heart skipped a beat. Marco was at the railing with the floodlit Duomo behind him. What a perfect picture. This is what I had come to Italy for. No, this was way better than anything I had imagined I'd find in Italy. This is a solidly written, cozy murder mystery set in Italy, that offers a voyeuristic view on a vacation there with a tour group. The group's extended stay in Florence gives the reader a different perspective on the city than most tourists get, showing the social problems in a city inundated by tourists each year, and struggling with the European wide challenge of dealing with a roaming poor population of Roma. Any negatives? Well, I missed getting Dotsy's first impression of Venice, and finding out how her flirtation with the policeman ended. And pretty much all the Italian in the book is incorrect, although the English is well-edited with only a handful of typos mainly to do with punctuation. I thought the names of the tour group members could have been more distinctive to help the reader keep them apart. And Dotsy shows very poor judgment at times, like when she throws a knife out of a hotel window into a crowded square. But on the whole, this is a fine first entry in a series that looks set to continue, with each book having Dotsy deal with murder victims in a different country. 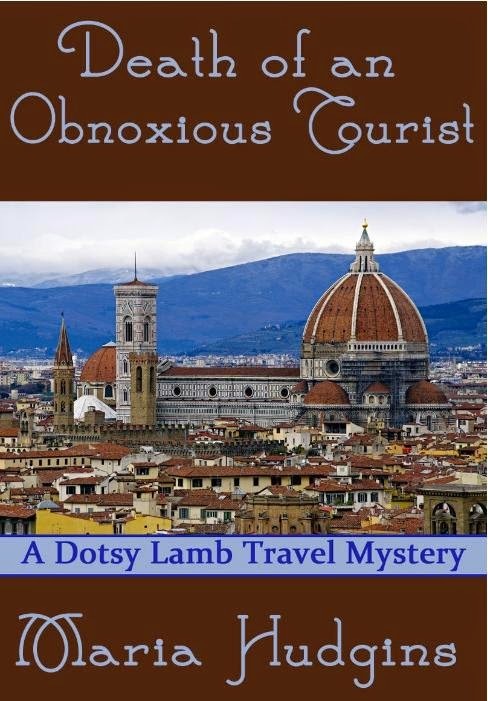 Dotsy Lamb, history professor and recently divorced empty-nester, and her friend Lettie are on a group tour of Italy when an obnoxious woman traveling with her two sisters is murdered in her Florence hotel room. Dotsy enlists the aid of the scatty but observant Lettie and hooks up with the attractive carabinieri captain in charge of the investigation. The killer may be a member of their tour group, a gypsy from a nearby camp, or any of four other people they've met since their arrival. There are motives galore. The murdered tourist has insulted practically everyone, her sisters have a monetary interest, and there may be a drug connection. This story takes the group from Milan to Venice, Florence, and Capri. The action takes Dotsy and her friends on a gondola ride around Venice and through many of the sights of Florence: the Accademia, the Uffizi, the Arno river, the Piazzale Michelangelo, a gypsy camp, and the caserma of the carabinieri. Please visit the author's website and a Facebook fan page. 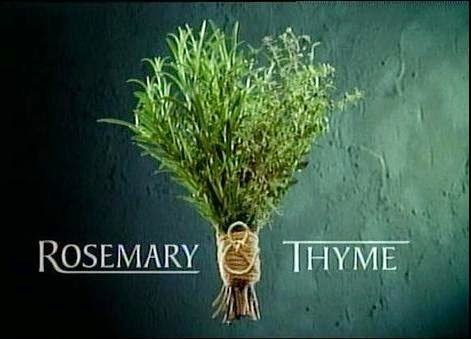 If you are interested in the Rosemary & Thyme series, or might be, here is a link to a trailer at YouTube.